Good morning all! I'm finally back to the grind after some much-needed girl time out in California. We had loads of fun, ate lots of good food, and I most certainly have photos to share. 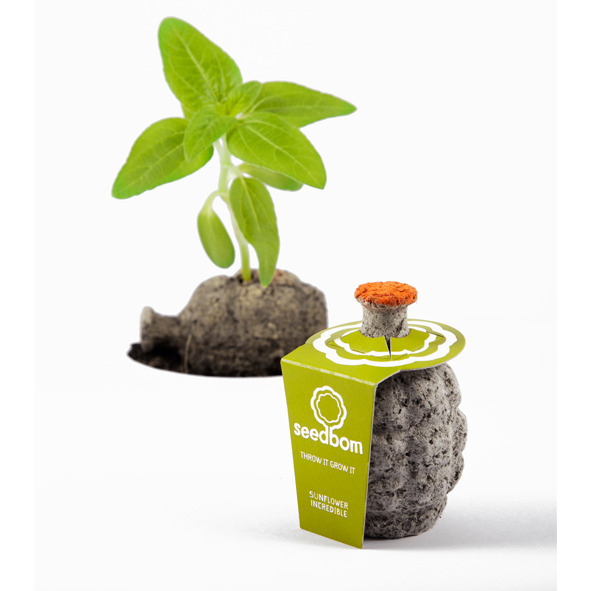 But right now it's about Sustainable Style, and I'm really loving the whole campaign of Seedboms by Kabloom. 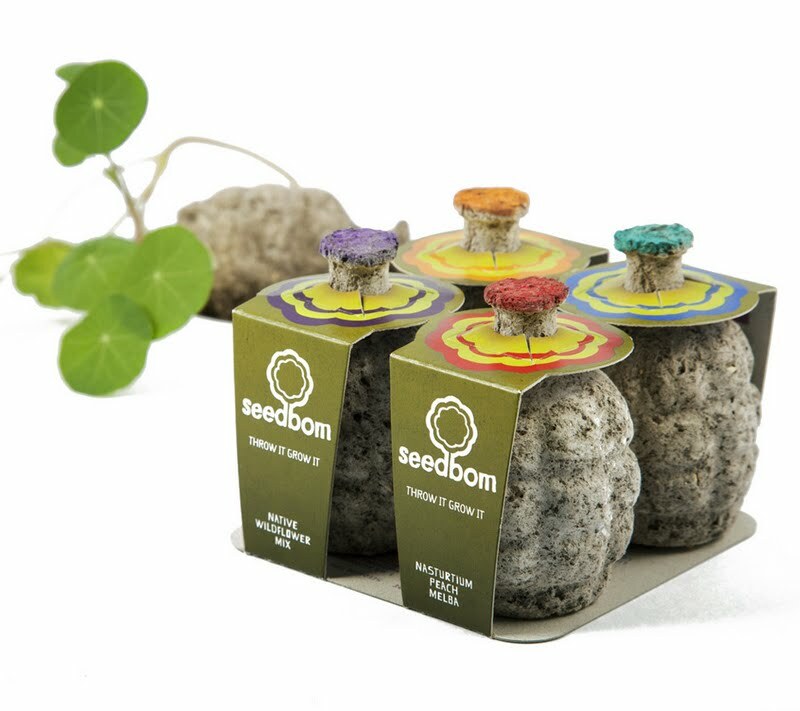 They're all about what they call "guerrilla gardening," appealing to "responsible rebels" to fight the "war against weary wastelands" and drop these seed bombs in desolate areas, with the hope of bringing them back to life. The actual seed bombs are in the shape of a grenade, too, and are made from reclaimed and recycled materials. Inside is organic compost, organic fertilizer, coir, sometimes a used tea bag, and a collection of flower seeds. For more information (and there is a lot of it! ), check out the Seedbom website, Facebook, Twitter and YouTube pages.